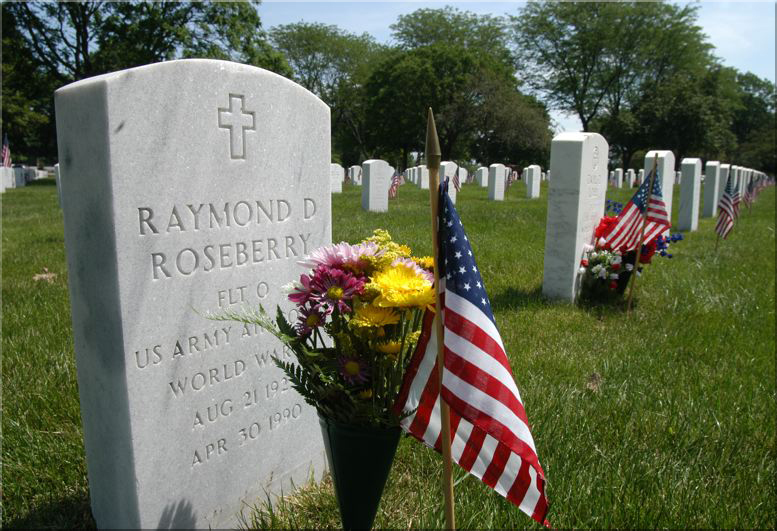 I adopted the grave of Joseph Earl Roseberry at 26 May 2005 . Since this day I’ve been searching, and still searching, for more information about Lt. Roseberry. This research costs a lot of work and is very timeconsuming. But it is really nice and rewarding work to do. 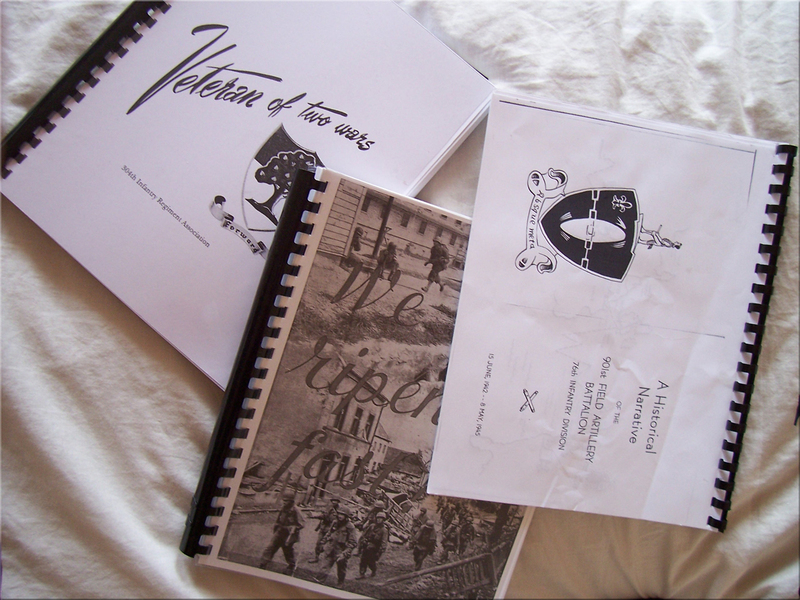 I am in contact with several veterans and relatives of veterans of the 76th Infantry Divison. At the moment I am in touch with Lt. Roseberry´s sister-in-law and also his sister, Rosemary. After this, I came in contact with other family members of Lt. Roseberry. They really appreciate the work I’ve done and still do. Some of the 76th ID books I obtained from LTC (ret) Jay Martin Hamilton. Joseph Roseberry was born at 7 December 1921. He was the son of Hesse Earl (born in 1892) and Lulu (born in 1891) Roseberry - Parsons. In 1930, Joseph was an eight-year-old boy living with his family in Riverton, Illinois, near the Sangamon River and just outside of Springfield, the state capitol of Illinois. 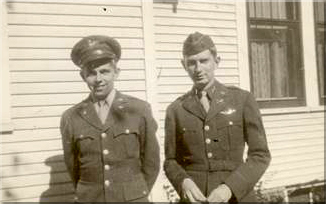 Joseph had two brothers, Bobie (born in 1920) and Raymond (born in 1926). Joseph also had a sister named Rosemary (born in 1924). 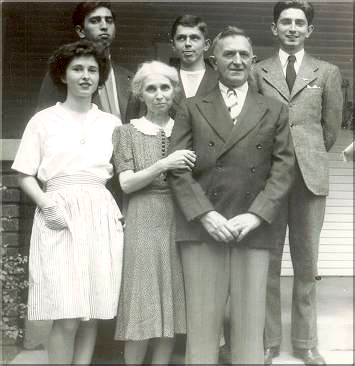 Each member of his family and his grandparents were born in Illinois. Joseph's father, Hesse Roseberry, worked as a blacksmith in Riverton and his mother kept house. In 1930, the family home in Riverton was worth $3,000 and according to the census, they owned a radio. Joseph Roseberry went to, and graduated from Springfield College, Illinois. 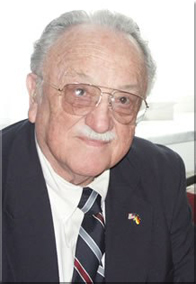 Joseph Roseberry enlisted in the army on September 18, 1942 as a staff Sergeant. First he was assigned to the 865th Bombardier Training Squadron, San Angelo, Texas, and later transferred to the Field Artillery School, Fort Sill, Oklahoma, for the Pilot Training Course. After that training course he was assigned to Headquarters Battery, 901st Field Artillery Battalion, Camp McCoy, Wisconsin. 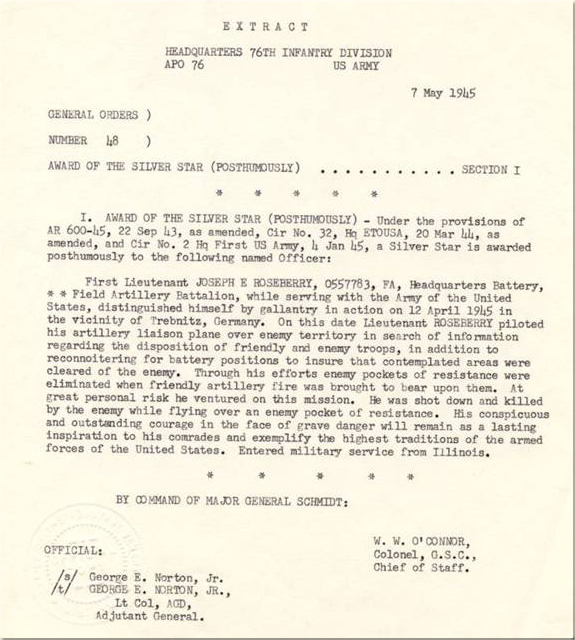 At July 30, 1944 he accepted a commission as second Lieutenant. On January 10th, 1945 he arrived in Europe. At 1 March 1945 he became first Lieutenant after a commission. Before Lt. Roseberry left the United States. He married Rosemary Ann Wertz (2 September 1922). Turning the prop to warm up one of the observer planes. The 901st FAB was stuck down and Major Mckee of the 901st FAB didn’t see any movements and targets of the enemy anymore. Major McKee called Lieutenant Roseberry. He asked if Roseberry would pilot his plane together with him, to spot the frontlines of the enemy. Roseberry said ok, and they took off that same day. A few moments later, the ground troops of the 901st FAB received a message that they spotted an armoured train. That was one of the last messages they received from Lt. Roseberry and Major McKee. 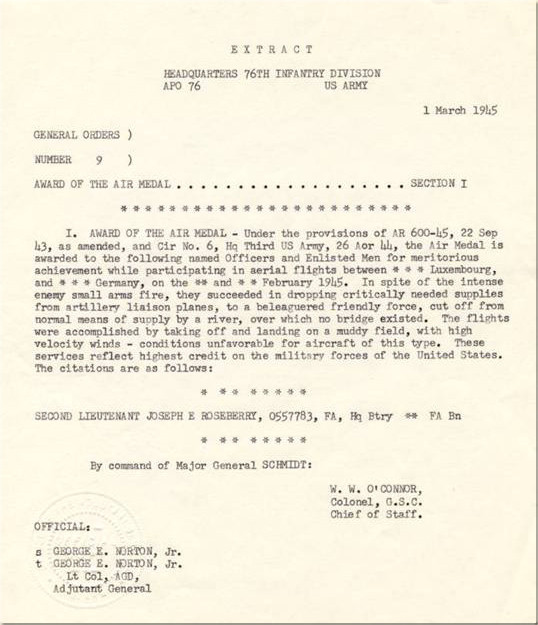 Later that day, the 901st FAB received a letter from which they learned that Lt. Roseberry and Major Mckee were shot down by the train guns they had reported. If they themselves were hit I don’t know but the plane came down and hit a stone mile marker along the road. 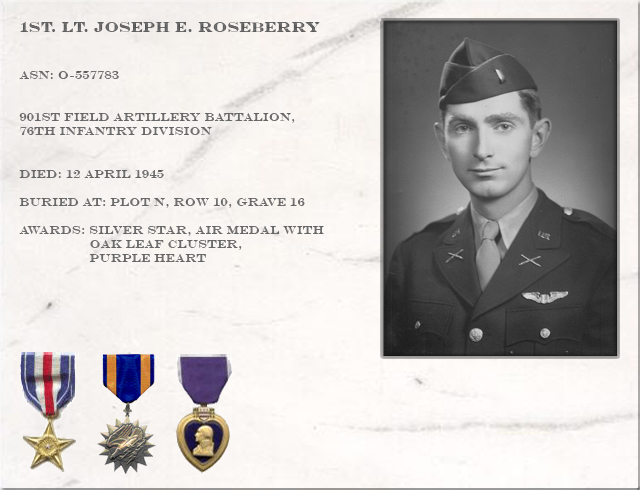 Lt. Roseberry was first buried on a small cemetery at Eisenach, Luxemburg, There he was buried on April 15, 13.30, next to Major John L. McKee Jr, who was in the same plane as Lt. Roseberry. 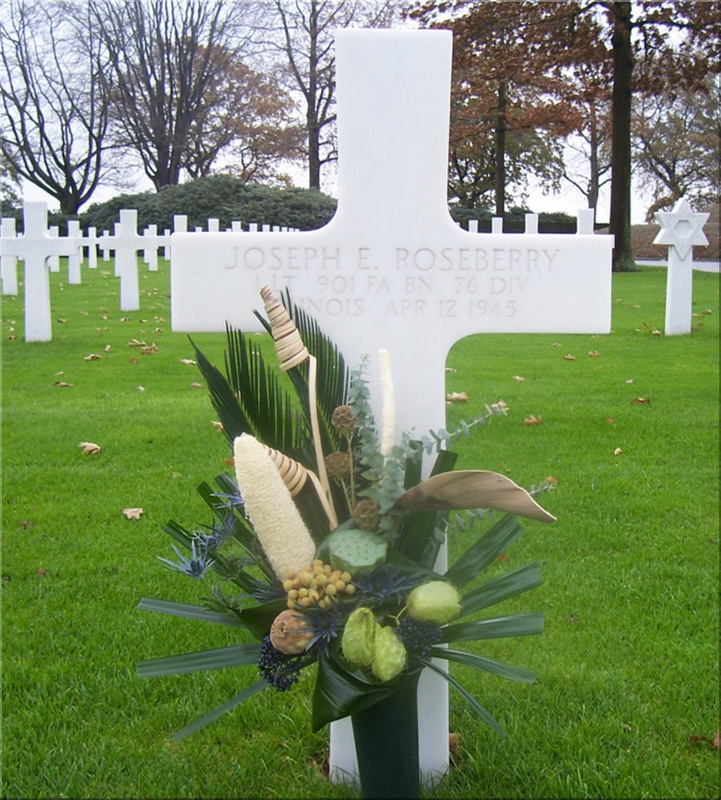 Lt. Roseberry was reburied in Margraten, Holland at June 20 1945 at 11.00 in his OD uniform. And officially buried in 1949, when his parents decided they wanted their son to rest in peace in Europe. Before Lt. Roseberry left the States for his overseas duty in Europe, he made a Last will and Testament. He made this at 23 November 1944 at Camp McCoy, Wisconsin. A detail to this, is that Major John L. McKee jr, was one of the witnesses for Lt. Roseberry’s testament and last will. 5 months later, they would be killed in action, together, in the same plane. 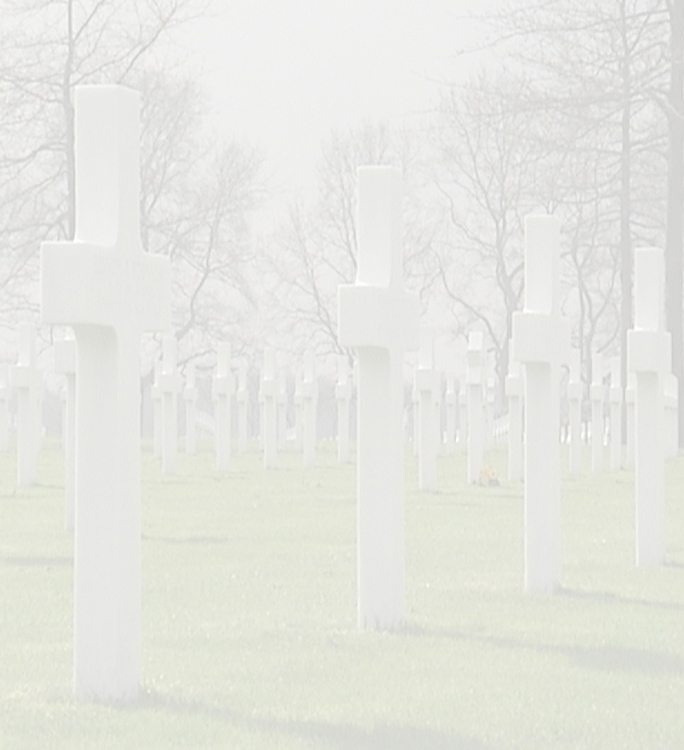 He mentioned in his last will, that he would left everything to his wife, if he would die overseas. Lt Roseberry was awarded several outstanding awards . He received the Air Medal and the Silver Star for a flight under heavy fire when he dropped food, medical equipment and plasma to the ground troops. These Awards he received posthumous, so he never know he received them. After his death he was also awarded the Purple Heart. - the Distinguished Unit Citation. - 3 campaign medals for Ardennes-Alsace, Central Europe, and Rhineland campaigns. - World War II Victory Medal. In remembrance of Lt. Roseberry one of the buildings at Fort Rucker, Alabama, is named after him. * Joe was a very active young fellow and he always wanted to fly a plane, but when he applied to get into the Air Force he was under weight, so he ate bananas and anything to get some weight on. When we were both teenager in Riverton ,Ill. high school we loved to dance ,and on Friday or Saturday nights we would go to the next town to mix with the other teens and dance to the Jute Box music. Joe had a couple of girls there that our family knew well, and they would dance, but poor old me, the fellows in that town were afraid to ask me to dance thinking JOE was going with me steady because we came in together. We had some good times together. When Joe graduated from High School he went to Springfield Junior College, was in the little theatre guild and he was good. Played the lead role in 'CEILING ZERO' a play about a flyer that was trying to land in a terrible Fog, and crashed. At the time of the play , Joe was also taking flying lessons at the Springfield Airport. He was so proud of his WINGS. 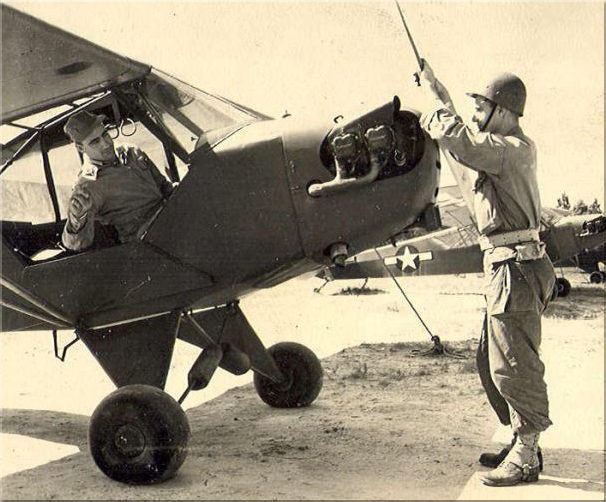 The only person in our family that Joe ever took up for a ride in the plane was our Brother Robert. He enjoyed the ride as Joe took him on a ride over some farms of people we knew. * Joe was very active all his life, so when he was about 9 or 10 yrs old, our grandfather hired him to help grandpa deliver groceries in Riverton, Ill.
Well grandpa didn't hear too good, and when they came to the railroad tracks (inter-urban) grandpa didn't hear the whistle to warn him, and so the tail end of the truck was hit by the inter-urban train. Joe was riding in the back end with the groceries. Joe was knocked out of the truck up in the air and landed in the catholic church yard. Some of the people who lived real close, knew who Joe was, but he was bleeding over his left eye. They carried him to our home and luckily there was a nurse living next door. She put him on our kitchen table, examine the wound and ask for a needle and thread. She cleaned up the cut and sewed it up. He had a scar for years in his left eyebrow. This never caused any trouble with his sight. Lieutenant – Colonel Jay Martin Hamilton , 76th Infantry Division, 304th Infantry Regiment.